We have restored the former Mill Managers House at Darley Abbey Mills as wedding guest accommodation. We have been delighted with the workmanship, site management and level of dedication shown to complete the project. The internal restoration works have included new lath & plaster ceiling, three coat lime plaster and repair of lime ash floors. Externally the works have included repointing, repair and structural repairs. We will be looking to use Bonsers again on our future projects. We have worked successfully together on many high-profile heritage conservation projects including; the restoration of the Grade I listed Mill Building at Cromford World Heritage Site for the Arkwright Society; the restoration of the Bestwood Winding House, A Grade II listed building and scheduled ancient monument for Nottinghamshire County Council; and the restoration of the Grade II listed Buxton pavilion for High Peak Borough Council. Bonsers specialise in a vast array of heritage skills, ranging from stone repairs, lime plaster, ornate plaster repairs and brickwork, joinery and ironmongery restoration. G F Tomlinson have used the specialist services of Bonsers extensively over many years, and regard them as our key heritage conservation and restoration supply chain partner. Their in-depth knowledge and skills on heritage building practices and sensitive approach to the protection of historic building fabric, are second to none. On all of these schemes, they have delivered a first-class service and a very high standard of workmanship, and we therefore have no hesitation in recommending Bonsers to any prospective client. The second and more challenging project Bonsers worked with us on was the Building 17 project. This was a very problematic project with cutting edge solutions required to the contamination issues within the building. The work was very difficult and the working conditions extremely unpleasant. The Bonsers team acted extremely professionally at all times, the communication between contractor and client was exemplary, they worked to a tight timescale and budget. Additionally their follow up services have been second to none, coming to site to sort out any maintenance issues and also providing support to us in our work engaging with our community about the project. I would fully recommend their services to others. The canal side restaurant project was relatively small and straight forward though the timescale was extremely short – opening up the upper floor for extra trading space, introducing a dumb waiter and toilets into the building. However, the Bonsers' team treated the project very seriously, taking great care to liaise with me as the client, working very considerately alongside my own staff and engaging positively with the passing public when required to do so. Equally, they completed the job on time and within budget. 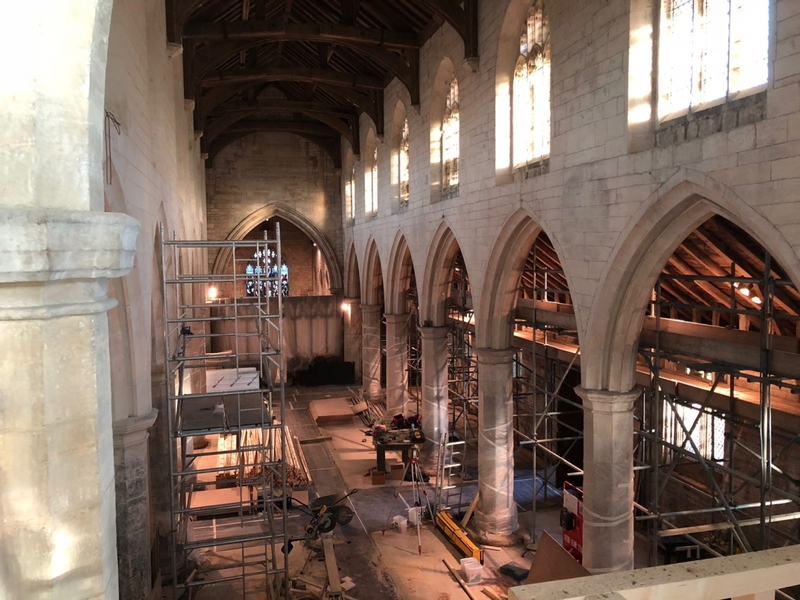 As part of the restoration project funded by English Heritage, Bonsers were employed as the main contractor on this project, initially based upon very good references and viewing previous projects. Throughout the whole project working with Bonsers was professional, helpful and with a real emphasis on caring about what was being restored – not just another builder on a building. We would certainly use Bonsers again for any other restoration work at Barlborough Hall. Bonsers impressed with their deep technical knowledge, experience and empathy of historic buildings. Their quality, workmanship and professional attitude was impressive throughout. If you would like to find out more about the work we do here at Bonsers, or talk to us about a potential heritage project, we’d love to hear from you.